Start with the best ingredients you can afford. Always buy organic, as the flavor is far superior over conventional produce and meats and you won&apos;t be eating those nasty pesticides. Plus, you get the added value of additional vitamins, minerals, and antioxidants. You get what you pay for when it comes to buying food. Cheap food usually results in an inferior tasting end product. Salt - Toss that old container of iodized salt that your Mother taught you to use. Because we naturally get the iodine we need from the food we eat, we don&apos;t need it in salt anymore. The taste of iodized salt is harsh and way too strong. Remember, salt is a seasoning that is suppose to enhance the flavor of foods not overpower it. Food that has no salt tastes flat. 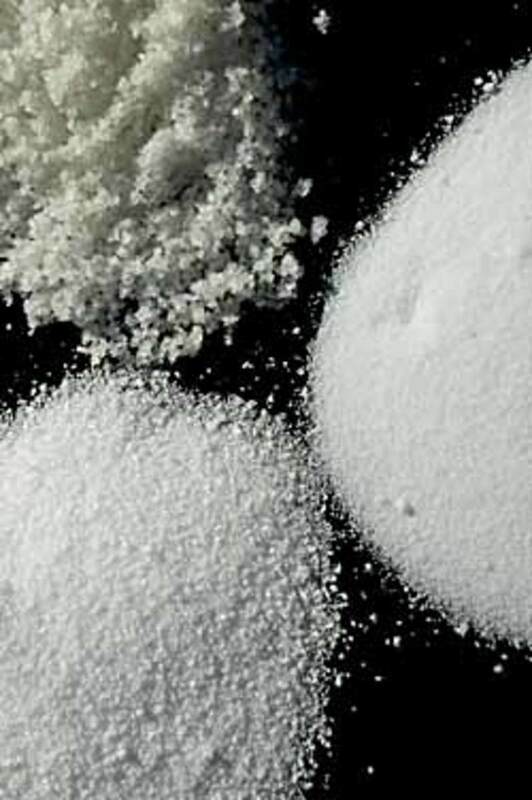 So toss out your iodized table salt and go for natural sea salt, kosher salt or even sumptuous fleur de sel. All have a milder, subtler flavor than their iodized counterpart. Don&apos;t be afraid to use this kind of salt generously. As a matter of fact, I bet what you&apos;ll notice is a burst of natural flavors of ingredient layers in your dish. If you have the time, make it yourself vs. buying it. Homemade dishes almost always taste better than store bought items (unless you really are a horrible cook which I doubt!). If you need guacamole spend an extra five minutes to make it. Think about it. Would you rather have store bought guacamole made with avocado paste, preservatives and chemicals that somehow survive on the shelf for months or have the real thing? See our recipe for homemade crčme fraiche which has a far superior flavor than the store bought crčme fraiche and is much cheaper. Reduce liquids like, stocks, sauces and foods with high water content like tomatoes to intensify flavors. Reducing liquids will add depth and richness of flavor to any dish. Reduce wine to cook off any alcohol and intensify the flavor. Knives - If you don&apos;t have a good set of knives, invest in at least one 8" or if you feel confident enough, a 10" chef&apos;s knife. 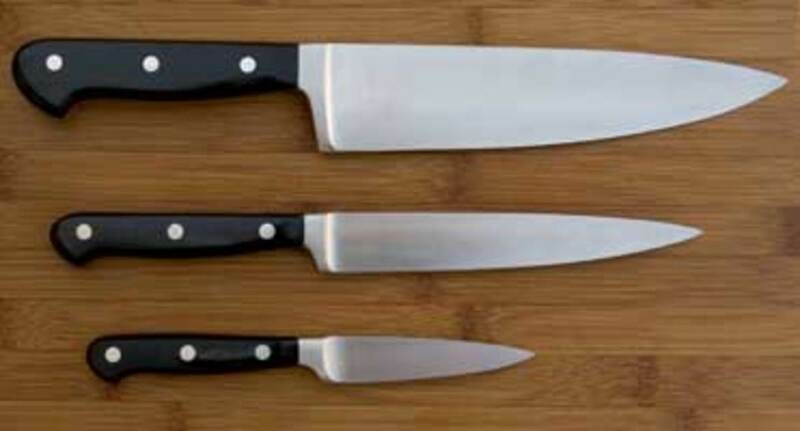 Knives made from a combination of high carbon steel and stainless steel are great for the home cook. These knives are fairly easy to sharpen, hold an edge longer and have some resistance to staining and rusting. These knives will make chopping a lot more fun and easier with proper maintenance.Additional tip: What&apos;s the secret to safe chopping? Keep your knife sharp. The chances of a sharp knife slipping are far less than a dull blade. If you want more control while chopping, choke up on the knife. Testing for doneness. When cooking or baking use your fingers to test for doneness in the meat you are cooking or the cake you are baking. The timer is not always correct. Your oven may not be calibrated correctly or cooking at a higher elevation may affect the length of cooking time, so use and trust your fingers. A rare piece of meat will feel soft to the touch while a well done piece of meat will feel firm. A soft cake is probably not done while a firm cake is done. Don&apos;t be afraid to use your fingers and trust your instincts. Use quality, organic unsalted butter for baking and savory cooking. Using quality, organic unsalted butter in savory cooking allows you to control the salt content of any dish and has a much better flavor than its salted counterpart. I recommend organic butter that comes from cows that have been grass fed and pasture raised their whole life. Not only does this butter taste amazing, it is much healthier. See our article on organic beef and the benefits of CLA (conjugated linoleic acid) found in grass fed animals from birth to market. Chopping raw garlic fine. 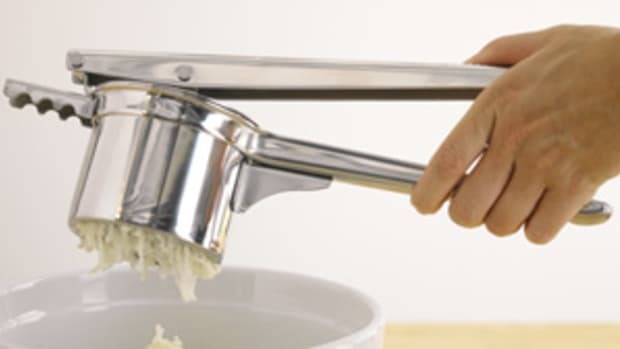 A great hint for chopping raw garlic into small fine particles is add a small pinch of salt. The salt will help extract the water rapidly from the bulb to make the garlic fine while not sticking to the knife. Chopping onions and how to protect yourself from those nasty sulfur enzymes. What are sulfur enzymes? It&apos;s the cruel enzyme or oil that is released from an onion when you cut it open and makes you cry. The more you chop, the more oils are released and the more you cry. Try the following techniques next time you chop onions. Put something between your teeth like a piece of bread to hold your mouth open while you chop. This way you will breathe through your mouth instead of your nose which will defer the oils from your nose and lachrymal canal. While cutting, place your cutting board as close to the stove as possible with a burner on. This will cause the sulfur based compound to dissipate faster close to a source of heat. If none of the above works, wear goggles! Or if you wear contacts like I do, wear them while chopping onions. The contacts will protect your sensitive eyes against the nasty sulfur enzymes. Removing skin from hard to peel items like garlic and ginger. 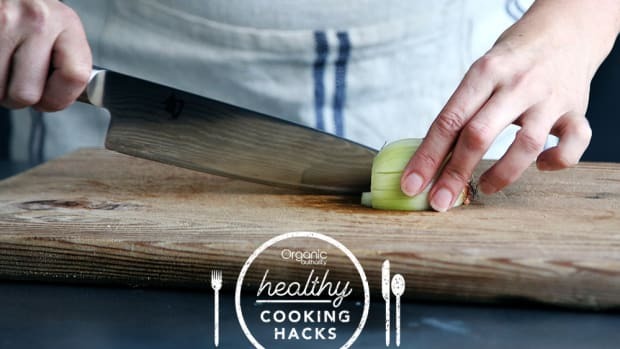 Garlic: To remove garlic&apos;s thin skin before you chop it, smash the clove of garlic with the side of a chef&apos;s knife blade, peel away the broken skin and chop. If you need skinless whole cloves of garlic, blanch whole cloves in boiling water for 15-20 seconds, shock them in cold water to cool, and peel. Ginger - There are two ways to remove the skin of ginger. One, use the bowl part of a spoon to gently remove the skin. Two, use a knife. Create a flat surface at one end of the ginger root by cutting off one end of the ginger root. Stand the piece of ginger on that same end and you can then safely remove the skin by cutting down all sides of the ginger. 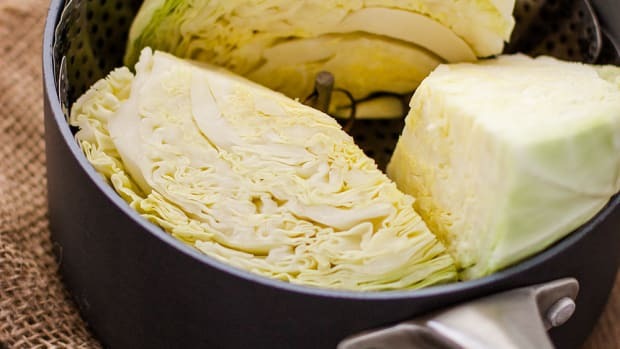 How to Cook Cabbage the Right Way: Cue Up the Crunch!